SEVEN BOOKS ABOUT . . .
Once again, we’ll see the world through a new vantage, both distant and close. I’m a straight white woman. I’ll never become, say, a black gay man. But I could become disabled; we all could. Nielsen pans back to the difficulty of even defining disability. Mairs says that it’s “a social construct rather than a medical diagnosis.” All this means that “disability” is too big, changeable, and billowing to tack down. Does it really make sense to lump blindness with polio with hearing loss? And who says who’s disabled? Consider that women, no minority we, were all once thought “disabled,” according to Nielsen. Americans have long characterized disability by whether you could still work, but women (allegedly) couldn’t labor like men, and menstruation stopped our productivity. If you were a man made deaf by smallpox but could pull a plow, you weren’t deemed disabled. Curiouser and curiouser. The gender part of this plays out in all kinds of complex ways, Nielsen notes. Male military disability has long formed its own category, for example; a leg stump or eye patch usually brought respect from the able-bodied. The first wheelchair patent was awarded in 1869, for all those Civil War amputees. In fact, many technological breakthroughs for the disabled have come from advances generated in the wake of war. The class part of this is also knotty. 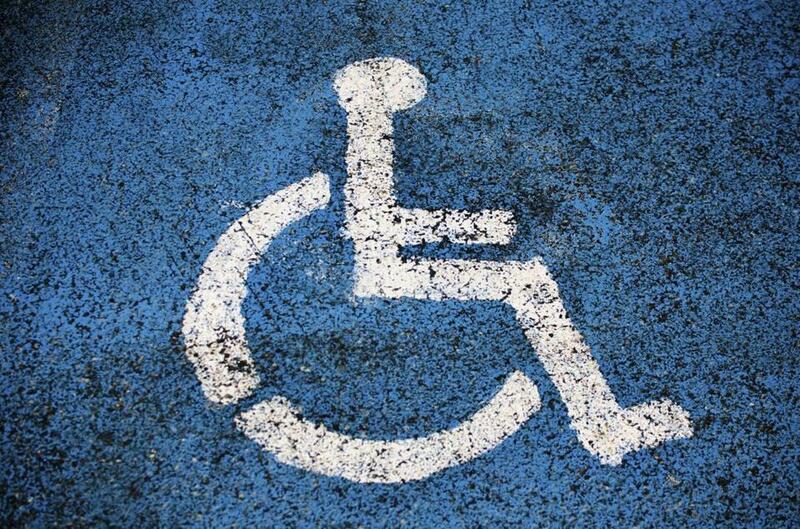 The poverty rate for those with disabilities is twice as high as the general population. (In 2010, it was nearly 28 percent versus about 13 percent for those ages 18-64). This is due to many factors, including lack of access, education, and funds for job training. “Get bucks, serve people,” Elmer Bartels said, by way of a strategy. He was the Massachusetts commissioner of rehabilitation a generation ago and is one of the voices in “What We Have Done: An Oral History of the Disability Rights Movement” (University of Massachusetts, 2012) by Fred Pelka. The book features interviews with such influential advocates as Mary Lou Breslin, Johnnie Lacey, and Justin Dart Jr., focusing on turning points like the UC Berkeley disabled student protests in the 1960s and pickets in the 1970s targeting the federal Department of Health Education and Welfare. After the accident, he “vowed never to allow the world to push me. I would pull it instead.” Hockenberry has specific challenges coping in a war zone; he always carries bottles of hydrogen peroxide, for instance, to make sure he can sanitize his catheter if need be. I want to say he’s inspirational, but as a Disability Consciousness 101 student, I’m reluctant; it’s another you-not-me distancing tactic favored by the able-bodied. Call a disabled person inspirational before you actually know them, you’re mucking in stereotype. That’s one of many pops of insight in “Don’t Call Me Inspirational: A Disabled Feminist Talks Back” (Temple University, 2013) by psychotherapist Harilyn Rousso. This is a very intimate book. Rousso confesses she is “always shocked to see myself in a mirror,’’ with her face grimacing from cerebral palsy, her right hand turned up like “a bunch of small bananas.” She also says that, like many disabled people, she is open to difference, spurred to activism, and good at problem-solving — because her daily life incurs all three. As I researched this column, I spotted a woman in a motorized chair on a sidewalk downtown. It wasn’t so much that she made me self-conscious, as I made myself that way. That’s because the late Harriet McBryde Johnson had unnerved me: “I have come to expect it,” she writes. “The glassy smile. The concerned gaze.” She leaves lots more “discombobulation that comes in my wake” in “Too Late to Die Young: Nearly True Tales from Life” (Picador, 2005). When McBryde died in 2008, The New York Times had Singer write a tribute, a choice which deeply offended many in the disabled community. Mindful of that, I must acknowledge I’m in tricky ableist territory, too, ending with this last book — which has no wheelchair in sight and is about deafness, which is arguably not a disability. Terry Galloway’s beautiful writing and wisdom overruled my qualms, though, in “Mean Little Deaf Queer: A Memoir” (Beacon, 2009). Galloway, who “craved’’ clout, is careful to say she’s small-d deaf since she came to signing late — and opts for a cochlear implant at the end of the book. Sometimes, I felt she was picking her way gingerly, mindful of her constituencies but trying to stay faithful to her experience. Caution with language: I know what that’s like. A little. Katharine Whittemore can be reached at katharine. whittemore@comcast.net.